Wildfires are growing in size, frequency, and severity across rangelands in the U.S. West. 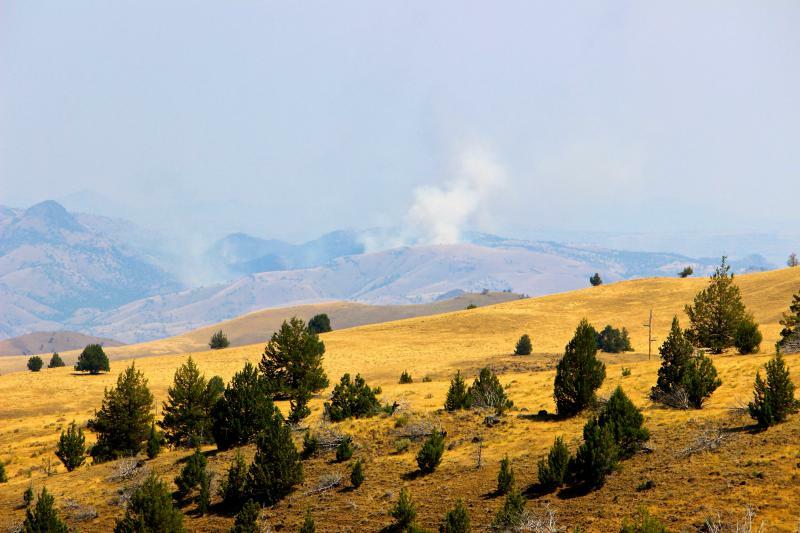 Although fire is a natural component of sagebrush steppe ecosystems, it can also threaten values such as sage-grouse habitat, forage for grazing, and residential and commercial structures and encourage invasive plant establishment. Wildfire suppression responsibilities have historically been divided among resident ranchers, some rural fire districts, and government agencies. 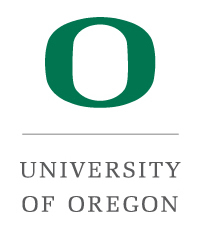 But wildfire, and interest in managing it, crosses ownership boundaries. Since the 1990s, numerous Rangeland Fire Protection Associations (RFPAs) have emerged in Oregon and Idaho, and a recent 2015 law authorizes RFPAs in Nevada as well. 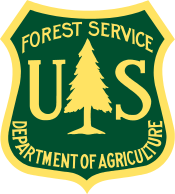 RFPAs organize and authorize rancher participation in fire suppression alongside federal agency firefighters (typically, the Bureau of Land Management or BLM). These all-volunteer crews of ranchers have training and legal authority to respond to fires on private and state lands in landscapes where there had been no existing fire protection, and can become authorized to respond on federal lands as well. 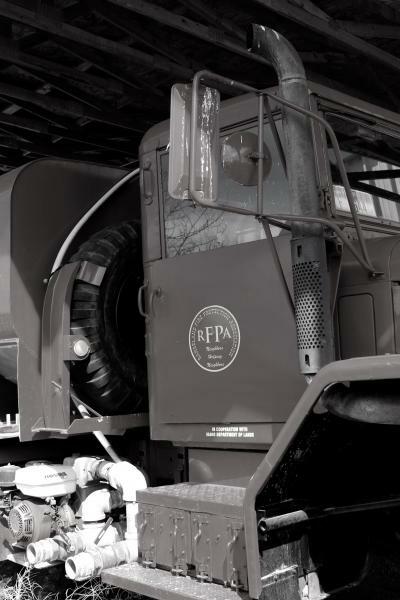 There has been growing policy interest in better understanding the RFPA model. Our study analyzed RFPA establishment, functioning, successes, and challenges through four case studies of individual RFPAs and their respective state programs in Oregon and Idaho during 2015-2016. 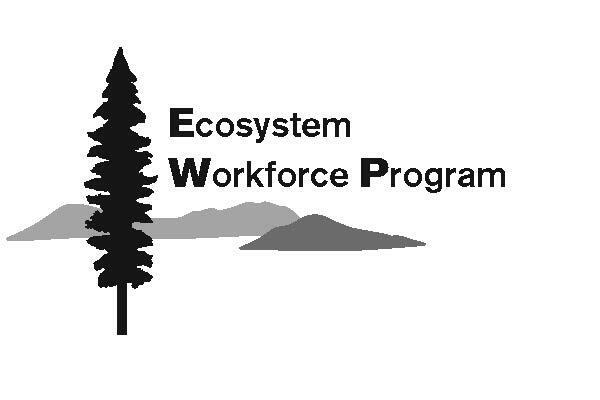 We developed this project with input from the Oregon Department of Forestry (ODF), Idaho Department of Lands (IDL), BLM, and RFPA members. 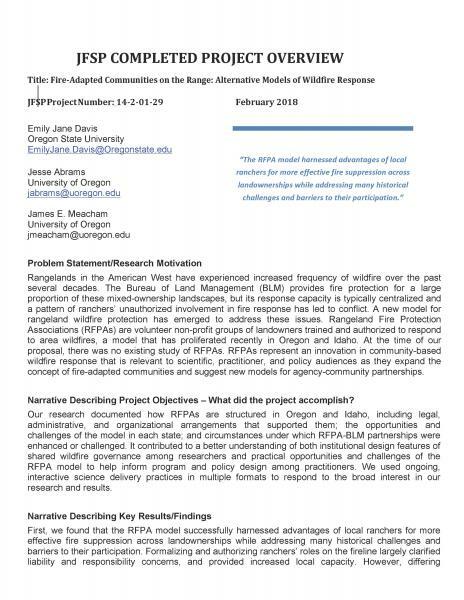 We used a qualitative interview and mapping process with two case study RFPAs in Oregon (Crane and Jordan Valley) and two in Idaho (Owyhee and Mountain Home). We also interviewed state and federal managers who worked with RFPAs in each state, for a total of 63 participants. We analyzed interview data using NVivo, a qualitative analysis program. 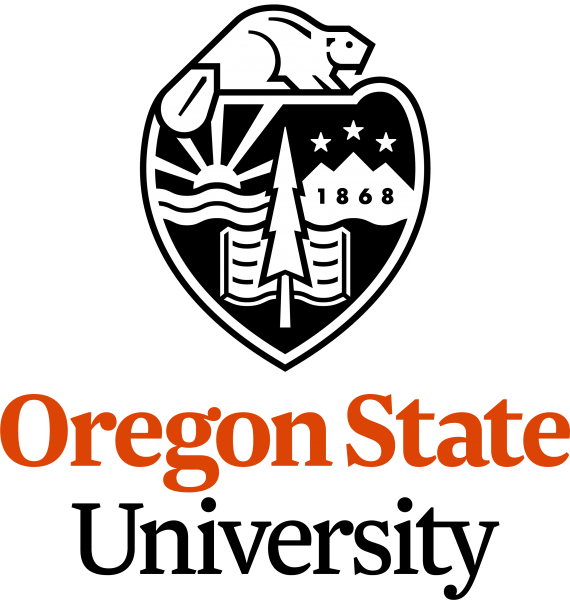 For the mapping component, we gathered perspectives on RFPA and BLM values and risks across their respective landscapes by marking up paper maps that were later digitized, synthesized, and analyzed by UO’s InfoGraphics Lab using Esri ArcGIS software. We presented preliminary results at two state-level RFPA meetings in each state, obtaining feedback from ranchers and agencies. See products in left sidebar. 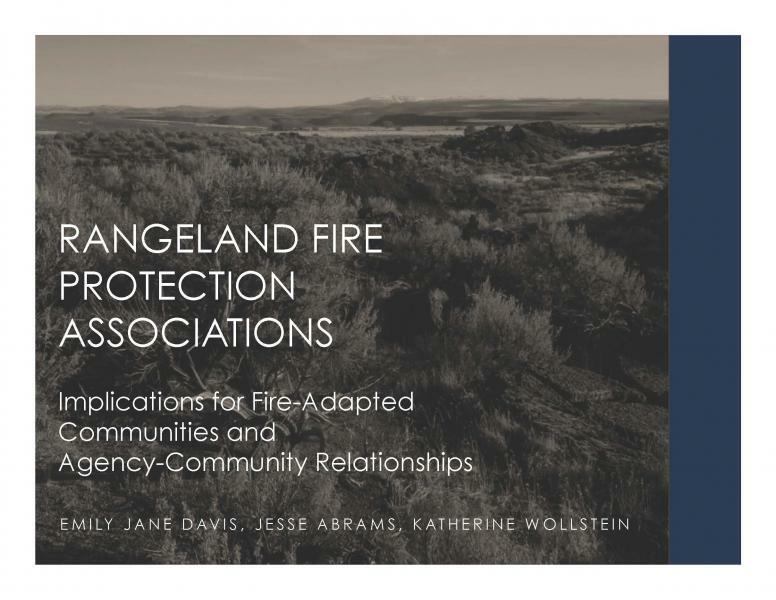 This research generated findings about the structure and effectiveness of the RFPA model and its implications for fire-adapted communities. Ranchers’ advantages for fire response were put into practice through the RPFA model.These include in-depth local knowledge, their own resources and equipment, spatial distribution across large landscapes, and strong motivation to protect their and their neighbors’ properties from fire. 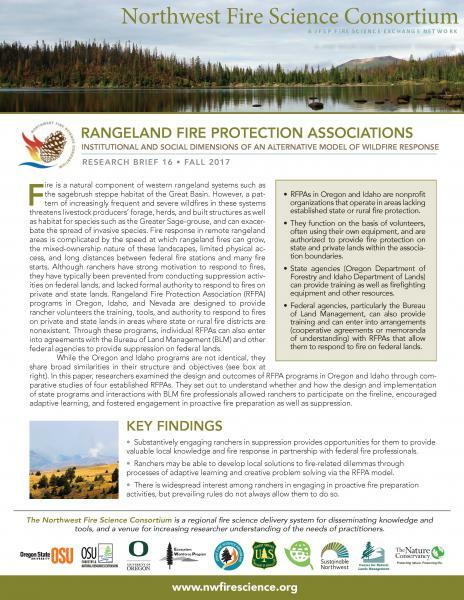 RFPA-BLM relationships were challenged by histories of conflict, differences between state and federal standards (in Oregon), cultural differences between ranching communities and formal firefighting institutions, and specific negative incidents or experiences. 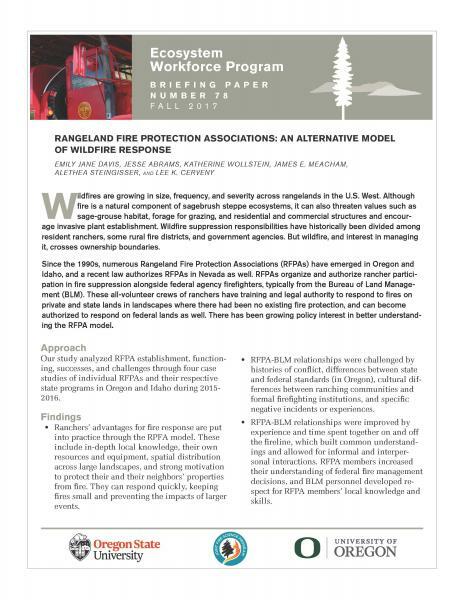 RFPA-BLM relationships were improved by experience and time spent together on and off the fireline, which built common understandings and allowed for informal and interpersonal interactions. 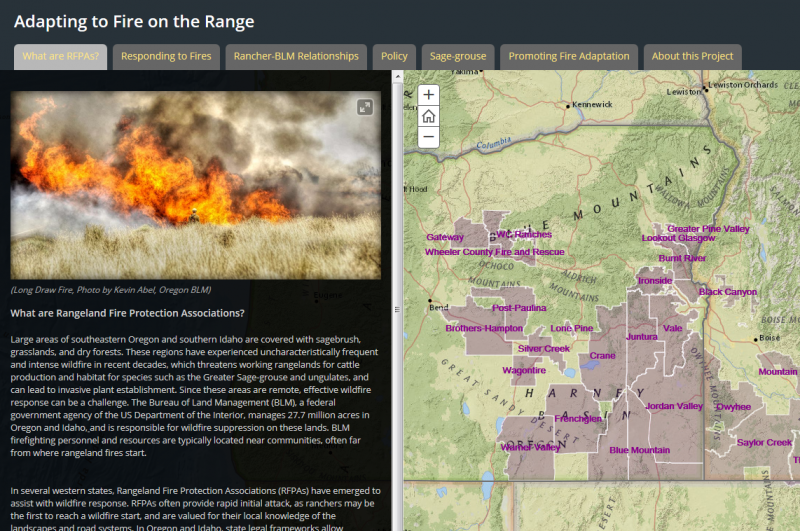 The RFPA model has focused on suppression, but many ranchers view fire management more holistically and the potential may exist for RFPA engagement in a wider range of activities. One RFPA has participated in a fuel break project, and several others in prescribed burns on private and state lands. 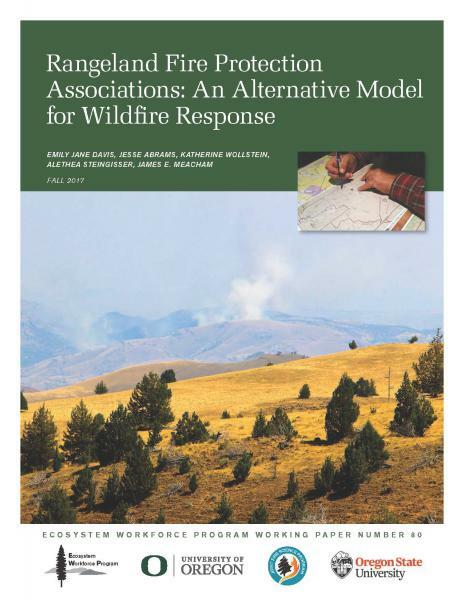 The example of the RFPA model suggests that working lands communities may be able to increase their participation in fire preparation and response, and become more “fire-adapted” if organizational structures to safely and feasibly enable participation are created. Learning and adaptation can help ease tensions between volunteer and professional institutions. Experience, repeated interactions, and being given responsibility may help local participants gain broader understanding of professional firefighting techniques, and in turn increase professional comfort with and regard for local knowledge and values. 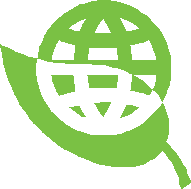 To read our scientific article publications, please contact us. We sincerely thank the RFPA and agency interviewees who took the time to participate in our study, and the Joint Fire Science Program (Project #: 14-2-01-29) for their funding support.